Do you want to teach English online but don’t know where to start? With so many options for online teaching careers available, it can be daunting to figure out what option is best for you. It will discuss the pros and cons of each route, talk about what working for each kind involves, and introduce a few of the best online English teaching jobs. Our Recommendation: If you are a North American with any degree and some teaching experience, start teaching English online with VIPKID and earn up to $22 per hour! Apply today with VIPKID. This post will also address how much you can expect to get paid at each, what tools you need for online teaching, and what online teaching companies look for in applicants. Read on to kickstart your online teaching career! Note: This is a massive post which touches every aspect of an online teaching career. You can click on the items in the table of contents to jump to the section you are particularly interested in. 1. What is Online English Teaching? 4. What Are the Requirements for Teaching ESL Online? 4.1 What Qualifications and Requirements Do Employers Ask for? 4.2 Can you Teach English Online Without a Degree? 4.3 What Personal Traits and Qualities Should You Have? 5. What Technical Equipment Will You Need? 6. What Kinds of Students and Classes Can You Teach? 6.4 Why Do Students Choose Online Lessons? 7. How Much Can You Get Paid to Teach English Online? 7.1 What Kind of Salary Do Major Teaching Companies Offer? 7.2 What Are the Rates on Tutoring Marketplaces and in Specialized Subject Areas? 8. What are the Challenges of Teaching English Online? 12. Which Companies Allow Teaching English Online from South Africa? 13. What Tools Do You Need to Teach English Online? Teaching English or ESL (English as a second language) online can take a number of forms. It’s become incredibly popular worldwide in recent years because it lets language learners worldwide easily connect with tutors. Some people look for highly trained tutors or native speakers, while others just want someone they can practice conversing with through the internet. People teach all age ranges, from young children just starting to learn English to business people working to improve their speaking skills. You can work with students all over the world: Chinese high schoolers, immigrants who’ve recently come to the U.S., South Korean children, adults in the Middle East. As on online English teacher you can also decide how much control you want over the back end of teaching: curriculum development, marketing, and pay and class structure. Some online English teachers work for companies that manage everything except teaching the class itself, while others take total control of all aspects of their teaching business. Teaching English online may seem kind of weird at first, but once you find out a little bit about it, it sells itself. Because there are so many routes to teaching English online, the job can really look whatever you want it to look like. Once you try it, you won’t want to miss the undeniable benefits. There’s a high demand for native English speakers to teach online, so it’s really easy to get a job teaching. If you don’t have any teaching experience or training, no problem. Most companies will train you, and some will even pay you for training hours! Although the demand for non-native speakers is lower, you’ll still find plenty of opportunities to teach provided that your English is good. Teaching English online is a fantastic option for anyone who wants flexibility and a mobile workplace. You can teach anywhere with a stable internet connection, and you can set your own hours. Also, you can work as little as much as you want, meaning that you can make the job work for you. Whether you’re looking for a new full-time job or a side hustle, online English teaching can work for you. Perhaps the most surprising benefit of teaching English online is the relationships you’ll make. Because you work one-on-one with students, you get to form relationships with children across the globe, and you get the satisfaction that comes from watching children grow and learn as a result of your instruction. You’ll also learn teaching skills that will serve you well on paper and theoretically if you ever decide to live abroad and teach ESL in person. A teaching company hires you. You offer English classes on so-called online tutoring marketplaces. You teach independently as a freelancer or even build your own teaching business. If you teach through a company, you’ll open teaching slots and be assigned students and lessons on the company’s platform – all you’ll have to do is show up and teach. All planning, organizing, and payment are handled by the company. The nature of working through a marketplace can vary depending on which one you use, but generally, the marketplace just facilitates interactions between you and students rather than providing the framework for them. Some marketplaces let you determine your own pay and scheduling, while others have stricter parameters regarding these considerations. If you work for yourself, you control all the business aspects of your job. You find students, market, design curriculum, and give classes with no one controlling you or giving you input. Each of the online TEFL jobs has pros and cons, which this article will address a little later on (in section 8). Because new online teaching companies are popping up every day, there are literally innumerable opportunities to teach English from home. Requirements for teaching vary by employer, but by and large, companies require teachers to have a bachelor’s degree and either be a native English teacher or speak with native fluency. Most companies don’t require a TEFL/TESOL certificate, but they encourage it, and you may be paid more highly if you have a TEFL certificate, a teaching certificate in your home country, and/or teaching experience. While most companies require all teachers to have bachelor’s degrees, some companies are more flexible with their requirements. SayABC, for example, allows you to sign a 3-month contract before you’ve gotten your degree if you’re in your final year of university, and Magic Ears requires no degree at all. Most marketplaces, such as italki, also allow you to teach with no degree, and if you teach independently there are no rules imposed on you at all — the world is yours! Teaching English online looks very different from teaching in a classroom, or, for that matter, almost any other job. To succeed, you should develop the necessary personal traits. ESL teachers must create a vibrant and engaging lesson for a person halfway across the world who doesn’t speak fluent English. For that reason, being friendly, energetic, and engaging is essential for the job. You should be able to keep a child’s or adult’s attention, use body language and expressions to illustrate concepts, and be instantly friendly and relatable so that students don’t feel intimidated or shy. Also, because when you teach ESL online you’re effectively your own boss, it’s important to be disciplined and to be able to self-motivate. That way you’ll keep booking classes, waking up, and making money. The blessing and curse of a job that allows you to make your own schedule is that if you don’t decide to work, no one will force you to. Last, teaching online constantly throws you into new situations with people with various needs, English levels, personalities, and cultural backgrounds. It’s exciting and gives you an opportunity to connect with different people all around the world. However, it can also be hard to adjust to all the different kinds of people you’ll meet. A good online ESL teacher will be able to adapt to new situations and relate to people of all ages, language levels, and dispositions. Teaching ESL independently is undoubtedly rewarding. It makes you your own boss, gives you the ultimate freedom and flexibility, and gives you the opportunity to design your curriculum independently. This can make your lessons more rewarding and let you practice management, marketing, and curriculum development skills. However, it’s also more work than teaching for a company, who will do all the recruitment and management for you. If you decide to teach independently, you should have good entrepreneurship, marketing, and administration skills so you can effectively recruit new students and build and run your business. Now for the nitty-gritty. If you want to teach English online, you need some basic tools. For starters, should have a stable high-speed internet connection. Some companies, such as VIPKID, technically require that you have an Ethernet connection, but a strong, fast Wifi connection should be just fine. Most companies require that you teach from a computer on their platform, but some have apps that allow you to teach from your tablet or phone. And if you choose to teach independently or through a marketplace, you’ll definitely be able to teach from a phone or tablet using Skype or a similar platform. You should also have a good webcam, mic, and headset. The headphones that come with a Mac are perfectly good for teaching online, but some teachers prefer buying their own headsets for increased comfort and reliability. A quiet, well-lit environment is a must for online teaching. A home or office is preferable, but any spot will do in a pinch. If you’re traveling, you may have to be creative to create the appearance of a professional classroom setting. You can set up your classroom in a closet, a quiet corner, or a deserted hallway. All you really need is quiet and a patch of wall where you can set up your teaching background! There are innumerable people looking for tutors teaching English as a foreign language online all over the world. School children take supplemental English classes outside of school, business people learn English independently or through their companies, and people who want to travel to English-speaking countries practice English on tutoring platforms. If you’re a fun, bubbly person, you’ll probably want to look at online TEFL-teaching jobs aimed at children. Keeping small children engaged for a full lesson can be hard work, but it’s incredibly rewarding especially if you like kids and are a high-energy person. However, if silly faces, props, and big hand gestures sound exhausting to you, you may want to look into teaching adults. Teaching teens or adults is rewarding because you can often talk about the more advanced subject matters than with children. It’s challenging in its own way because you need to make class interesting and worthwhile and you can’t fall back on shiny toys and stickers to keep your students engaged. However, you’ll practice your tutoring skills and may even foment a cross-cultural relationship with someone halfway around the world. For more information on what it’s like to teach different age groups, check out these articles about teaching ESL to children and teaching to adults. Different online teaching companies design classes a number of ways, according to what they feel is the best teaching style and format for their platform and goal. Although some platforms only facilitate one-on-one tutoring, a number of online teaching companies, such as Boxfish and QKids, allow you to teach classes of up to 4 students. Teaching more students can be an added challenge because it requires you to keep the attention of multiple students, and sometimes to cater to slightly different English levels at once. However, it also lets you play games and do group exercises in your classes, making class more fun and taking some of the pressure off you as the teacher. Often you’ll also make a little more money teaching group classes than individual students. As alluded to above, lesson style will vary based on the age of online teaching companies’ students and the nature of their mission. Classes that prepare students for English exams, business, or interviews will be structured to hit specific language aims. Exam prep classes specifically are serious and highly structured. Classes for children often use an interactive platform that revolves around games and songs. There are also platforms that host conversation spaces, where you and a student simply practice conversational English by talking for a set period of time. Students take ESL classes online for a number of reasons. Some may prefer the convenience and flexibility of online classes to in-person ones, while others use online courses to supplement what they’re learning in a brick-and-mortar class. Students also like being able to speak with a number of different teachers, as well as the lower price-point of online classes. Also, online teaching companies give students easy access to native English speakers. If you teach ESL online through one of the major online teaching companies like VIPKID or DaDa, you’ll generally make $14-26 an hour. Some companies pay all teachers a flat rate, while others, like VIPKID, set your salary according to your teaching experience and performance in your interview. Tutor marketplaces like italki and Verbalplanet let teachers set their own rates. Standard rates tend to hover around $10-25 per hour, but you can browse around to see what other tutors like you are charging to help you settle on a reasonable and fair rate for lessons. If you have a teaching certificate or have experience teaching for tests like the TOEFL or the SAT, you can charge a higher rate for your lessons. Tutors specializing in Business English and test preparation can easily charge upwards of $50 an hour. Pearson and Varsity Tutors are among the companies that connect expert tutors with students worldwide. Let’s break down how much money you could make in a month when teaching English as a foreign language online through a standard platform, a marketplace, and independently. Keep in mind that these sums are just rough estimates, and may vary based on your experience, performance, and more. Let’s look at VIPKID, one of the biggest online teaching companies. As a VIPKID tutor, you’ll teach kids English online in 25-minute 1-on-1 classes. VIPKID teachers earn between $7 and $9 base pay per class, depending on their performance in their interview, their teaching experience and credentials, and how long they’ve been with the company. They can also earn a $1 participation incentive for showing up on time to class and teaching according to the lesson plan and another $1 for teaching a certain number of classes in a month. So, if you teach 30 hours a week at $20 per hour ($8 base pay + $2 incentive for every 25-minute lesson), you’ll earn $2,400 a month. People who teach English online through tutor marketplaces generally set their own rates, meaning that the amount they earn varies wildly. The amount you work will also be dependent on student interest, so it might be slow while you build up a client base. If you charge $25 an hour and work for 10 hours a week through a marketplace you’ll earn $1,000 a month teaching. It’s important to remember that teachers in tutor marketplaces and independent teachers do more work than just time spent in the classroom. They’re responsible for their own lesson planning and marketing, which adds to their workload. If you have good credentials and can tutor in business English or help students prepare for the TOEFL, IELTS, SAT, or other tests, you can charge a lot of money and will undoubtedly get good business. If you spend 20 hours a week tutoring in a specialized area at $50 per hour, you’ll make $4.000 a month! Most teaching companies hire teachers as independent contractors. You don’t get any benefits from the company, and the company doesn’t take any taxes from you. You will, however, be subject to reporting your earnings when you file taxes wherever you live. Remember that you should consider tax deductions when calculating your expected salary. There are lots of tax calculators and other online resources you can use to help you calculate your salary after tax. Teaching English online is, in many ways, an incredibly easy job. You can roll out of bed in the morning, fire up your computer, and teach in your sweatpants. If you work for one of the major online teaching companies, you’ll never have to do lesson planning or much prep work at all. And best of all, your schedule is flexible. Keep in mind that a flexible schedule does not mean teaching any time of the day or night that you fancy it. As many teaching companies are focused at teaching students in specific countries, they open classes at times that are convenient for their student base. This means that if you work with students in China and you live in America your prime working hours will be early in the morning (as early as 3 am, depending on what time zone you live in), and late at night. While this gives you the day for yourself, it does mean you have to keep unconventional hours if you want to get lots of classes booked. 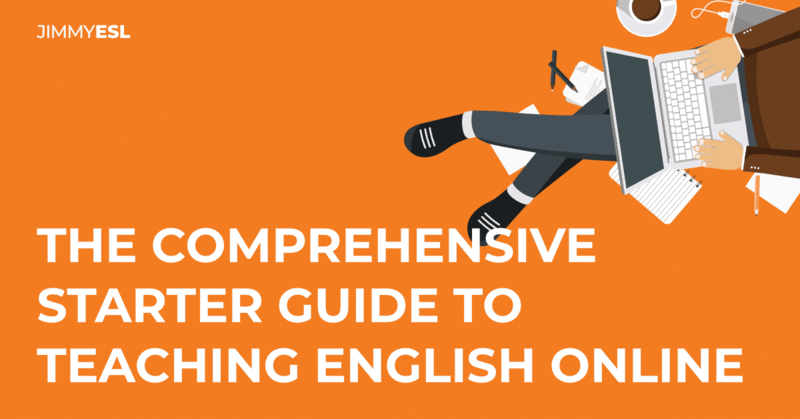 As an online English teacher, you need to deliver high-quality lessons to your students. This means that you will have to spend some time familiarizing yourself with lessons before class time. You’ll also need to create a fun and educational classroom environment and teaching props. You’ll also need to look put-together and awake, even when you have a class scheduled at 4 am. Being a good teacher means always being friendly, patient, and kind. This means that even if you’re sick, tired, are going through personal issues, you need to put your best face forward and be totally enthusiastic and focused during class. You may have to teach the same lesson over and over again or try to get a kid that’s absolutely bonkers to focus, and it’s your job to maintain your positive, encouraging attitude and never show your frustration. Additionally, you must be organized and self-motivated to teach ESL online. Without the structure and hierarchy of a traditional office setting, you’re in charge of maintaining your schedule, showing up on time for class, and doing the preparation you need to. It’s easy to lose motivation or forget about class if you don’t discipline yourself well, and if you miss lessons or get unsatisfactory remarks from parents you can get penalized or even fired. 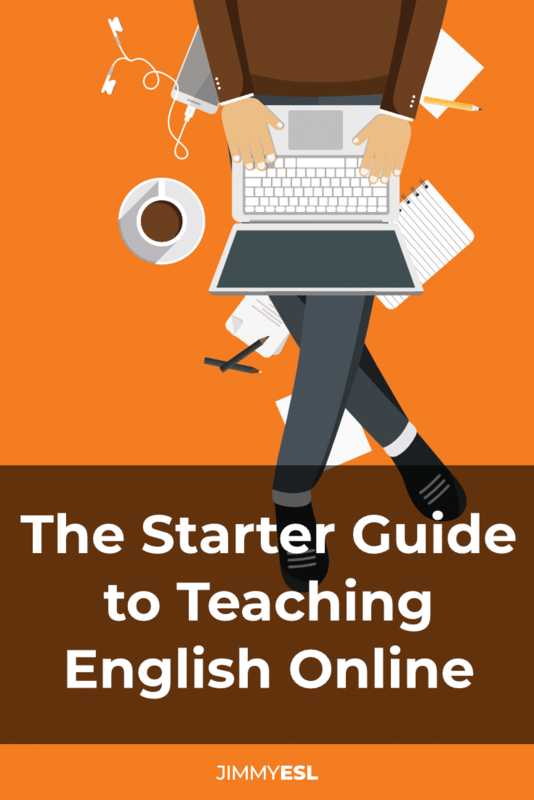 The hardest part of building your online English teaching career is getting started. Working for a company is definitely the easiest way to get started teaching online, and probably your best option if you’ve never taught online before. If you decide to work for an online teaching company, you’ll go through an application process and then the company will offer you a salary when they give you a job offer. At that time, you’ll sign a contract, probably for somewhere between 3 and 12 months. After your contract period ends your position will be reassessed and assuming you’ve performed well you’ll renew your contract and may be offered a raise. The contract lays out that you are an independent contractor and not an employee, and as such are responsible for your own taxes. Most of the major teaching companies have teacher portals that let you set your schedule, see what classes you have booked, and manage feedback and payments. Some companies, like VIPKID, let you change your schedule continuously (although you can’t cancel a class once it’s been booked without penalty), while others, like DaDa and Englishunt, require you to maintain a set schedule. Some companies also set minimum teaching hours. At DaDa, you have to commit to teaching at least 4 hours a week, and at QKids you must teach for at least 6 hours a week. Minimum teaching hours can help motivate you and keep you on track, but they can be annoying when life gets hectic and you want to put teaching on the backburner for a little bit. It’s a great idea to teach through a company when you first start out because they’ll provide support and help you get started. Online teaching companies provide professional support and pre-made lesson plans and resources. They communicate with the parents and book classes for you, so you’re only responsible for teaching. They often have room for raises and further training and certification. It’s easy to build up a large enough student base to make a steady income teaching with a company. The company makes the rules, and it can be difficult to communicate with management. You have less room for flexibility than you would teaching by yourself. You have less earning potential than a specialized tutor would. You may end up teaching classes or lessons that you don’t like. The application process varies by company, but most online teaching companies have you submit an application and then invite you to an interview. Following that, there will be one or two mock lessons that you’ll need to prepare and practice for before you’re hired. The whole process may take a week or two depending on how quickly you move through all the steps. The interview and mock classes may seem intimidating, but there are lots of resources online for preparing for both – if you work for any major company you’ll find tons of demos and advice videos made by their teachers on YouTube. VIPKID is one of the biggest and most reputable online teaching companies. It offers competitive pay, flexible scheduling, and extremely comprehensive lessons. VIPKID teachers must have bachelor’s degrees and be current residents of the U.S. or Canada. As a VIPKID teacher, you’ll teach 25-minute classes to Chinese students aged 4-12 and make $14-22 an hour. SayABC offers $15-21 per 40-minute class. They hire teachers living in North America, the Middle East, Europe, Australia, Japan, Korea, China, and Singapore. Unlike most companies, which require all teachers to have bachelor’s degrees, they also hire students in their final year of university. Englishunt caters to adults in South Korea and doesn’t require a bachelor’s degree (although teachers must have either 48 college credits or a teaching certificate). They offer 10-, 15-, and 20-minute classes. The pay is around $10 an hour, so lower than many companies, but it’s worth looking into Englishunt if you don’t have a degree or want to work with adults. The Englishunt platform doesn’t work on Apple computers. QKids is a more traditional online teaching company, similar to VIPKID. They cater to 4-12-year-old students and pay $16-20 an hour. Notably, QKids pays you for the time you spend training with them. For more information about teaching for VIPKID, you can refer to this comprehensive guide. If you’re hypermobile or don’t have access to a laptop or desktop computer, you may want to focus your job search on companies that let you teach from a phone or tablet. Most companies require you to use a computer, so you may want to focus your search on tutoring marketplaces if you won’t be able to teach from a computer. Boxfish hosts lessons for Chinese students in kindergarten through 12th grade, and it lets you teach from your tablet or smartphone. Tutors teach classes of 1-4 students and make $10 per 25-minute class. People who are living in South Africa or Southeast Asia long term can’t teach for Boxfish because of problems with server compatibility in those countries. Tutoring marketplaces generally give you more flexibility and control than traditional online teaching companies do. With so many platforms, you can try out a few different ones to see which works best for you. The structure of tutoring marketplaces varies, but generally, you create a tutoring profile and students sign up. The platform will probably set class lengths, but everything else is up to you, including the structure of your lessons. You may also have to pass a test to qualify to list yourself as a tutor for a specific subject on whatever marketplace you use. Some sites, like Verbalplanet, allow you to set your own rate, while others, like Cambly, have set rates. Some platforms will require you to do lesson planning if you want to succeed, while others focus on facilitating conversations between language learners and native speakers – you just have to show up and talk! Some, similarly to online teaching companies, require teachers to have bachelor’s degrees and be native speakers, while others let anyone create an account on their platform. Tutoring marketplaces give you complete control over your schedule, your students, and your lessons. You can decide what subject matter to cover and what ages and levels of students you’d like to teach to. The platform handles payment and some use support. Most tutoring marketplaces let you teach from your phone or tablet. Tutoring marketplaces usually have a low barrier to entry, meaning non-native speakers or tutors without bachelor’s degrees may apply. Some platforms provide teaching software and resources for lessons. Because almost anyone can teach through a marketplace, it may be hard to stand out from all the teachers on the site and build up a client base. Due to the competition, some teachers also set very low rates, making it harder to earn money teaching for a fair wage. Students may not sign up for repeat classes or may give you an unfair rating, hurting your reputation on the site. Ziktalk hosts conversations and doesn’t require tutors to be native speakers or have any teaching certifications. The app works on your phone, and you set your own rate by the minute. With Cambly, you’ll make 17 cents a minute ($10 an hour) conversing with language learners all around the world. You won’t pay the bills with it, but it is a good side gig. You don’t need to be a native speaker or have a bachelor’s degree to tutor with Cambly, as long as your English is good. Teachers can’t use Cambly on smartphones or tablets. This guide to working for Cambly has more information about what teaching on the platform is like. NiceTalk hosts conversations between native English speakers and Chinese ESL learners who want to practice their conversational English. Teachers get paid per full minute spent talking, and most of the students are adults. The NiceTalk app is compatible with Android and iOS. Tutors get paid $10 an hour. Verbalplanet lets tutors set their own schedule and rate. Lessons last 45 minutes, and tutors customize lessons to fit their students’ needs. It’s more involved than a conversation-based marketplace, but the pay is better and the hours are steadier. The site has lots of tools to help teachers manage their clients, as well. italki lets tutors set their own rate and schedule, similar to Verbalplanet. The platform handles marketing and other client management tasks, so teachers can focus on delivering high-quality lessons to students. You don’t need to be a native speaker to teach on italki as long as your English is good, and you can teach from a phone or tablet. Tutoring on an online marketplace is a little less structured than working for a company, but there are a few steps you need to follow to get your business off the ground. Follow these steps to create a successful and profitable teaching business through an online tutoring marketplace. First, do your research. Browse around a few different marketplaces and get a feel for what kind of work you want to be doing. Do you want the freedom to set your own rate and schedule? Do you want to converse or prepare lesson plans? How much time are you willing to devote to the job? Where in the world do you want to be teaching? Take into consideration that you’ll be working with students in a different time zone, so you may have to keep weird hours depending on where you teach. You can read testimonials from different teachers and do some comparison before you decide on a marketplace. Next, you need to apply for the job. Some marketplaces have an interview or require you to make a video introduction. How long it will take the employer to get back to you varies based on the company and how many applications they get. Once you’ve gotten hired, you’ll need to fill out your teacher profile. Provide some background information, highlighting any teaching experience, language skills, or certifications. You’ll want to submit a professional-looking photo and an introduction video that features you looking friendly and speaking clear, native-sounding English. Your profile is the first impression parents will get of you, so it’s important to really sell your skills and put your best face forward here. Finally, you’ll decide on your availability and, depending on the marketplace you choose, set your prices. It’s a good idea to look at what other tutors like you are charging before you decide how much to charge so you stay competitive. To help increase enrollment in your tutoring sessions, promote yourself using whatever tools are available to you on the platform, as well as on Facebook, your personal blog, online classifieds, and more. Most importantly, you need to teach the lessons themselves. If you work for a platform that’s not just conversation-based you’ll spend time designing unique curriculums to fit your students’ needs. If you do a good job, you’ll get positive feedback that will help spread your reputation as a good teacher and in turn increase your client base. Lessons are the meat of your business, so constantly working to improve your lessons is the most important thing you can do as an online ESL teacher. Payments vary by platform. Some allow teachers to get paid through the method of their choosing, while others require their tutors to use Paypal or another similar method of payment. Whatever it is, you’ll want to be sure your payment information is connected to the system so you can get rewarded for your hard work. If you aren’t interested in spending a significant chunk of time and effort building a career teaching English online, you can skip this section. Running your own online teaching business is a lot of hard work, and it’s definitely not for everyone. However, if you do go down this path, you’ll find yourself with a sustainable career that gives you flexibility, creative control, and life skills, not to mention an income. Teaching English independently doesn’t just require good teaching and curriculum development skills. It also requires you to be self-motivated and unafraid to put yourself out there, as well as to be able to market yourself effectively, manage your finances and your schedule, and take care of nitty-gritty details like paying taxes, figuring out cancellation policies for students, and maintaining a website. This comprehensive guide to teaching English online independently is a really fantastic resource for anyone interested in starting their own online ESL business. Keep in mind, you can always teach English in more than one place. For example, you can schedule classes with a major ESL company and practice your teaching skills while you work on your own teaching business and build up a client base. Running your own teaching business gives you control over every aspect of your teaching practice, so you’ll never be subject to the whims of a major company. You can build up a good reputation and grow a loyal customer base. You can earn a high salary as an expert teaching professional. Once you’ve become established, you can cooperate with other teachers, help new independent teachers start their own businesses, and even hire teachers to work for you. Running your own business is a LOT of work: administration, marketing, sales, payment, and troubleshooting are all up to you. You’ll need to put a lot of effort in before you start seeing results. You assume all the risk, financial and otherwise, for your company. Most teaching companies have a section based in the country where their students are and have staff that communicates with them in their native language. As an independent teacher you have no support, so all communication, including fielding complaints, is up to you. This may be challenging if your students’ English isn’t good and you can’t communicate with them in their native language. Starting your own company can seem totally terrifying, and with good reason. It’s a lot of work, and the responsibility for all of it falls on your shoulders. It’s important to make a plan and strategize so that your teaching company is stable and well-run. Here are a few tips that will help you create a successful online teaching company. Before starting your independent business, you need to set clear goals for what you want it to look like. You should figure out what specifically you want to teach, who you want to cater to, and what teaching methods you want to use. Do you want to teach IELTS prep classes to Chinese college students or do you want to teach kids in South Africa conversational English? Will you give students material to study on their own before class and then review it with them? Find your niche and work to excel there. Look at what other teachers with similar experience and specialties as you charge to help determine what a fair price point for your lessons looks like. You may also want to consider whether you want to sell class bundles, have free trials, or offer promotions. You’ll also need to write up a student contract that details pricing and your class cancellation policy. Create a model for curriculums including long-term plans and individual lesson plans. You’ll probably want to modify it to fit individual students once you get to know their language levels and learning styles, but you need to build off of a strong model. This is, after all, the meat of your business. You should also collect teaching resources, including any materials or textbooks the students will need, props for your classroom, teaching backgrounds, and more. You’ll need to set up your classroom space, including a headset, a wired internet connection, and a quiet, bright teaching environment. Last, you should figure out what platform you want to teach through. Whether it’s Skype or something more sophisticated, it should be easy for both you and your students to use. This is an absolute must for your teaching business. It’s not hard to make a website: WordPress and SquareSpace both make web design easy for anyone to do, no technical skills required. Your website should feature information about you and your teaching model, including an introduction video and, if possible, student testimonials. It should also include contact information and information about how to sign up for classes. You can advertise free teaching resources and a free trial class on your website to generate business. Use social media sites, teaching forums, and YouTube to advertise your company and build a name for yourself. You can write blog posts and use SEO methods to make your company more visible. You can use PayPal or another payment platform to collect money from students. Because you’re teaching internationally, you’ll want to make sure it’s easy for students to transfer money to you from a different currency. You’re never done building your online English teaching company. In order to keep your company ahead of the curve and attractive to customers, you should work to constantly improve your business by working on your lessons, marketing, and website. You should also try to always be learning more about the online English teaching industry to keep yourself abreast of new ideas that will make your company better. Once you’ve established your online teaching business, you can profit off of it and benefit by selling video courses on how to teach as well as model lesson plans, marketing strategies, and other resources to help other teachers. Also, you can sell premade courses to ESL students. Once you’ve made these resources for sale you don’t need to do anything besides a little advertising to make money from them. If you’re from South Africa, there are a number of online English teaching companies you can work with. Although South Africa is considered a native English-speaking country, some companies have restrictions about which countries they hire from. VIPKID and MagicEars only hire tutors from the U.S., for example, while Barons English only hires tutors from the U.K.
Boxfish, SayABC, and Education First all hire teachers native to any English-speaking country, including South Africa. You can also click here for a good list of companies that hire nonnative tutors and tutors from all around the world. If you’re interested in a specific online English teaching company, just check their teaching requirements to make sure they accept South African employees before applying. If you decide to teach through a marketplace, you have a number of options as a South African native English speaker. Cambly, tutorfair, Preply, and italki don’t have country requirements for tutors, for starters. And, of course, if you decide to start your own teaching business, the only rules are ones you create. If you teach independently or through a marketplace or company that doesn’t provide or require a certain platform and requisites, you’ll need to figure out what software and physical materials work best for the kind of teaching you’re doing. The success of an online class is contingent on the quality of the platform it’s held on. Make sure you choose to host your classes using the video call software that works best for both you and your students. Skype: Perhaps the most popular video call platform, Skype is a great option because it’s easy to use and your students probably already have it. It lets you have the chat box and the video open at the same time and automatically makes the video call visible when you have something else pulled up on your computer, making it easy to refer to teaching materials and communicate with your student/teacher at the same time. It also let you easily share files within the platform, which makes teaching much easier. The basic version of Skype, which should have all the functionality you need, is also free. Zoom: Zoom is user-friendly, popular, and not prone to technical issues. If you’re teaching one-on-one, you’ll also be fine with Zoom’s free plan. However, some people complain that lots of Zoom features are add-ons that you have to pay for, which means it can get expensive fast. Google Hangout: This is a great free platform for group or one-on-one meetings. It also allows screen and file sharing and is easy to use. However, it’s blocked in China, which means if you make it your main platform you’ll be excluding a huge population of potential students. WeChat for China: WeChat’s video platform allows file sharing, and is a great option if you’re teaching in China because your students will already be familiar with it. It’s also free! The biggest disadvantage of WeChat is that it stores conversation history on your device, meaning that if you change devices you won’t have a record of what’s been said. This is particularly frustrating if you’re trying to refer back to files you’ve sent or other information you’ve exchanged on the platform. Aside from a good video call platform, there are a number of other online tools that you can use to make teaching easier for you and your students alike. Google Drive and Google Docs allow file sharing and collaboration, making it easy to correct homework, share lesson materials, and edit writing. Witeboard, a free shared whiteboard, lets you illustrate concepts as you would with a real whiteboard, and lets both you and the student draw. Calendly and Googe Calendar are both good tools for scheduling lessons and planning out your availability. Best of all, you can share events with your students. Paypal is the easiest tool for handling your finances and collecting tuition from your students internationally. If you’re living in China, you may also consider conducting payments through WeChat Pay or Alipay. Of course, you need real-life tools to teach, too, not just ones online. Having a cache of objects to decorate and fill your classroom with will make your students’ learning experience more engaging and fulfilling. A whiteboard, pinboard, or magnet board is a great tool to have in your classroom because it doubles as a tool and decoration. You can use it for a points system, to illustrate teaching concepts, or to hang pertinent decoration or a sign with your name. Flashcards are a great teaching tool for any age of language learners. Depending on your students’ age and level, you can put letters, objects, colors, or words on them. If you teach young kids, it’s a good idea to have a catalog of flashcards with basic concepts on them next to your computer so you can use them when they come up in your lesson. If you’re teaching kids, you’ll want lots and lots of fun props. Hand puppets and realia are great tools. Fruits, stuffed animals, miniatures, and anything that may be pertinent to your lesson will help draw your students’ attention and help them understand you. Create a log of videos and articles for students to look at before class so that you can have topical discussions about them in class. Likewise, you should have a file of worksheets you can assign after class. Make the classroom yours! Whatever unique things you can add to your classroom will help you and will make your students want to keep coming back to your lessons. How you teach will vary based on your personality and who your students are, but it’s always important to be fun, engaging, energetic, and animated. You need to shine through the screen and keep your students focused and interested. You should also make sure to speak clearly and slowly and modify your speech based on your students’ level. It’s important to create a space that gives your students the room and confidence to practice speaking English.